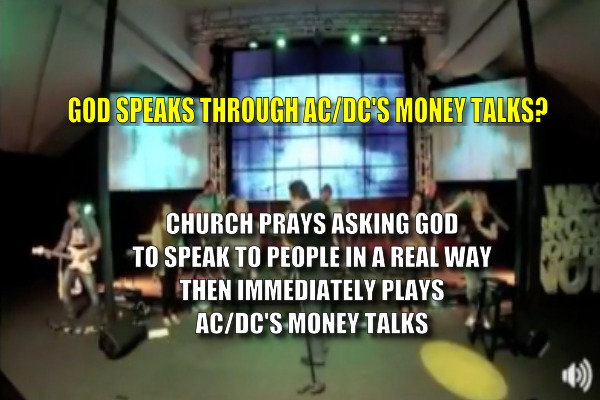 When you’re at an official Sunday morning worship service can you expect God to speak to you in a real way through AC/DC’s song Money Talks? The Pointe Church in Fort Wayne, Indiana prayed to God, asking God to speak to people in a real way (whatever that's supposed to mean). Immediately after the prayer they played Money Talks by AC/DC. Abominations, Christless Christianity, Relevancy FAIL, Worship?